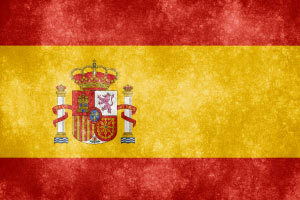 Did you know Spanish is the world’s second-most spoken language? Spanish is a truly international language, and speaking it can introduce you to people in communities everywhere. But first, you have to learn the basics, from the alphabet to saying “you’re welcome.” This free Spanish course will give you all you need to start your journey towards fluency in Spanish, or just to visit your next Spanish community with a solid grasp of Spanish basics. To begin, the course will take you through the basics of saying hello, goodbye, please, and thanks. You will then learn how to introduce yourself, so that you can meet new people and expand your social circle in Spanish. The course will teach you how to count and how to use dates in Spanish, which is essential information for making purchases and reservations in Spanish. The course will then guide you through the Spanish alphabet and Spanish pronunciation, which will include a crucial lesson on Spanish accents. Next, the course will teach you a basic understanding of Spanish grammar and verbs. You’ll learn how to talk about yourself and ask for somebody’s telephone number. The course combines audio and visual tools so that you will learn how to speak, read, and listen to Spanish. To make things as clear and easy as possible, words and phrases will always be presented as text in both Spanish and English. And as a little bonus, you will be shown how to type Spanish accented letters on your computer. By the end of this course you will have a strong grasp of basic Spanish. This will be the key to the rest of the language, and will make your next conversation with a Spanish person that little bit nicer. And if you keep going on you language learning journey, there will be 420 million more people in the world you can speak with. This is a truly enjoyable skill that makes life a little bit richer. So go on, begin learning Spanish today! After completing this course you will be able to: - Greet people and introduce yourself; - Say how you are and ask about them as well as asking for a telephone number and talk about birthdays; - and pronounce the letters of alphabet along with the accents the type using the Spanish alphabet.